I think it’s a well-known fact that I love fur vests – see exhibit A and exhibit B from last year. Since spring pieces are now arriving every day at my favorite retailers, that means the fall/winter pieces are on sale! The best time to buy fur is near the end of winter (or in our case, the start). Below are some great fur vests on sale right now – scoop them up before they’re gone! 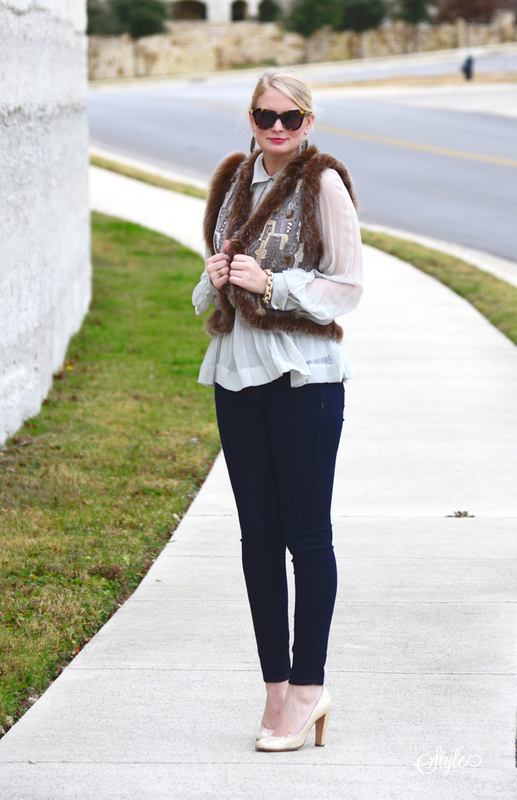 This is such a fun twist on the fur vest!! Such a beautiful vest! Not to mention it looks fantastic paired with our Danielle Earrings. Thanks for featuring us!